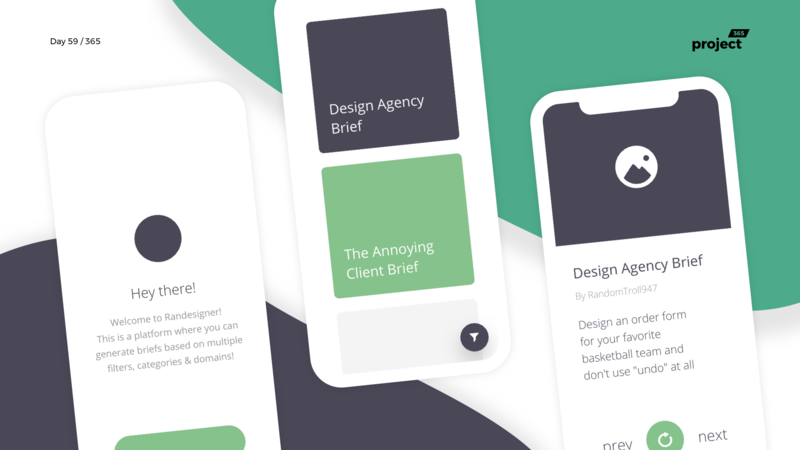 Brief: To design a random design brief generator app! 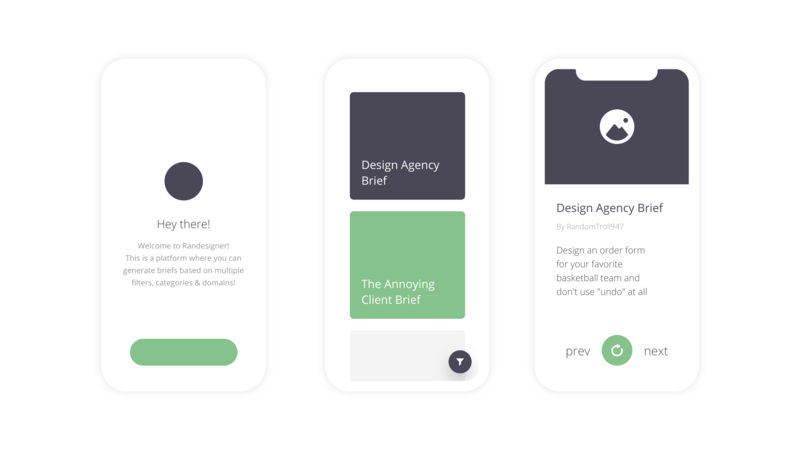 Continuing my Minimal Wireframe series, here’s another concept for a mobile app – RanDesigner app! With RanDesigner, you can generate thousands of briefs for various domains, fields, client types and with tons of filters. Have fun creating interesting pitch projects to impossible briefs from annoying clients – you have it all!